Amari Stone is fast becoming the market leader of solid composite stone bathroom products. A British brand with an International presence. We are renowned for our unique designed solid composite stone products. Established in 2001 the Amari Stone brand has grown from strength to strength. Our head office is based in Teesside and we have various distribution warehouses across the UK. Every Amari Stone product is manufactured using a blend of pure White Limestone infused with high performance resins. Each item is then individually hand finished by our craftsmen to give it that perfect finish. BCS Panels are specialist suppliers of PVC Wall and Ceiling Panels which are the ideal alternative to tiles. they are waterproof, easy clean, mould and stain resistant and are available in a wide range of colours and styles. Roman has been designing and manufacturing solutions for over 30 years and is home to the UK's largest shower manufacturing plant. Roman is a British manufacturer offering the ultimate in quality, precision, and craftsmanship. Romans key collections include shower enclosures, bath screens, walk-ins, wetroom panels, shower trays and solid surface fabrications. Piralla is a long-established Italian brand registered by Renato Piralla S.r.l. Piralla management enables conception and manufacturing of the items listed in this catalogue, anticipates the steady evolutions of the market with a different brand and allows customers to get products with high quality and technology. 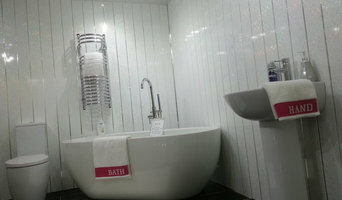 At Bella Bathrooms our mission is to provide well designed quality bathrooms without the designer price tag. Our stance on quality is simple; if we wouldn't have it in our own home then we don't sell it! We understand that a bathroom is one of the most important rooms in a home and when it comes to updating your bathroom you shouldn't have to compromise on quality because of the price. What should I hire a Yarm, North Yorkshire kitchen and bathroom fixtures specialist for? Whether you are doing up a house you’ve moved into or you want to update your bathroom suite or fitted kitchen, working with a Yarm, North Yorkshire kitchen and bathroom fixtures specialist will be extremely helpful. Even if you want to source your own fitted kitchens and bathroom fittings from bathroom and kitchen showrooms, unless you are a skilled craftsman someone will have had to make the fixtures and unless you are a plumber you’ll probably need some help with installation! On Houzz you can find kitchen suppliers, manufacturers and installers of fixtures and fittings in Yarm, North Yorkshire to help with all aspects of the process. In the kitchen you can change more than just the sink and taps. Even without ripping out all the fitted kitchen units, you can still have bespoke kitchen doors made to replace the old ones and worktops laid over old surfaces or replacing them entirely. Instant boiling water taps, waste disposal units and induction hobs are just some of the gadgetry and convenient fixtures that are available for fitted kitchens from kitchen showrooms and suppliers. Take a look at the Yarm, North Yorkshire kitchen suppliers listed on Houzz to find out the sort of fixtures and fittings they offer. A bathroom isn’t a bathroom without its plumbing fixtures and good bathroom fixtures can make or break a home when it comes to selling potential. 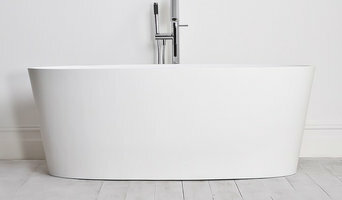 Take time to pick out bathroom fittings that work together; you can opt for a whole bathroom suite from a bathroom showroom or bathroom installer, but if you don’t want the overly matching look, a Yarm, North Yorkshire bathroom fittings specialist can help you choose individual but complementary pieces. Power shower installation can boost the appeal of your bathroom (no one likes a weak shower) and extra special features like his and hers sinks, shower body jets and roll top baths will give your bathroom style that added oompf. If you can’t stretch to extravagant bathroom fixtures you can still talk to a fixtures specialist about electric shower installation or installing a new toilet; it may seem like a lot of hassle at first, but when you leave it to a professional, all the hassle is taken off your hands. Many Yarm, North Yorkshire kitchen and bathroom designers will install or offer help with your fitted kitchens, bathroom fittings and fixtures, so if you want an all-in-one renovation service, you can contact these professionals on Houzz as well. Talk to kitchen showrooms, suppliers and bathroom stores to see if they offer their own installation service or can recommend a local Yarm, North Yorkshire installer for you. Here are some related professionals and vendors to complement the work of kitchen & bath fixtures: Kitchen & Bathroom Designers, Kitchen & Bathroom Fitters, Interior Designers, Cabinet Makers. Find kitchen or bathroom fixtures and fittings manufacturers on Houzz. 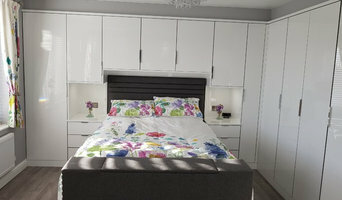 Check out Yarm, North Yorkshire fitted kitchen showrooms and bathroom fittings installers on Houzz. You can also look through project photos provided by Yarm, North Yorkshire kitchen suppliers, bathroom renovators, showrooms and designers to find fixtures you like and contact the professional who installed them.